What does it mean to be Carefree? Someone who is untroubled, easy going, relaxed, mellow, A wondrous state of being joyous, elated, lighthearted in order to be totally present. 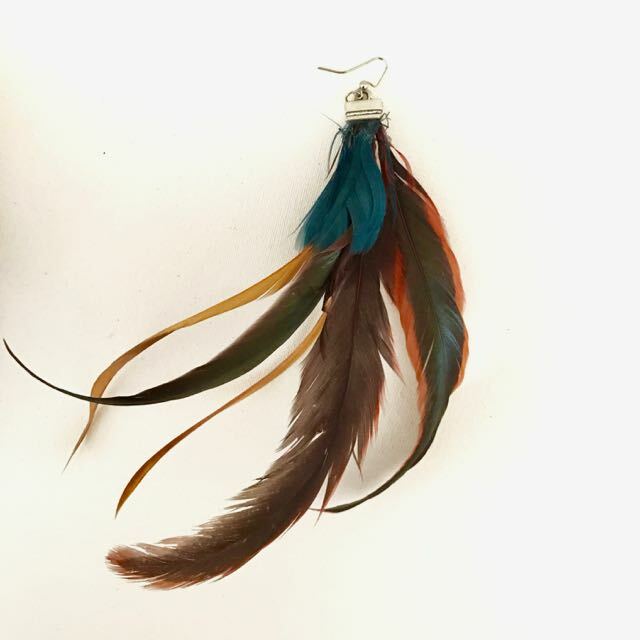 This one of a kind earring is made from a unique hand picked section of the finest feathers. No two are alike. To be worn endlessly on your ear of choice. These are the kind of pieces you wear consistently from early morning to a night out on the town. Only available at Jennifer Schuitemaker.